These details should be observed even when it comes to a small window blind fitted to your bathroom’s window. You don’t want to end up with soggy-looking blinds that need to be replaced soon after being fitted! 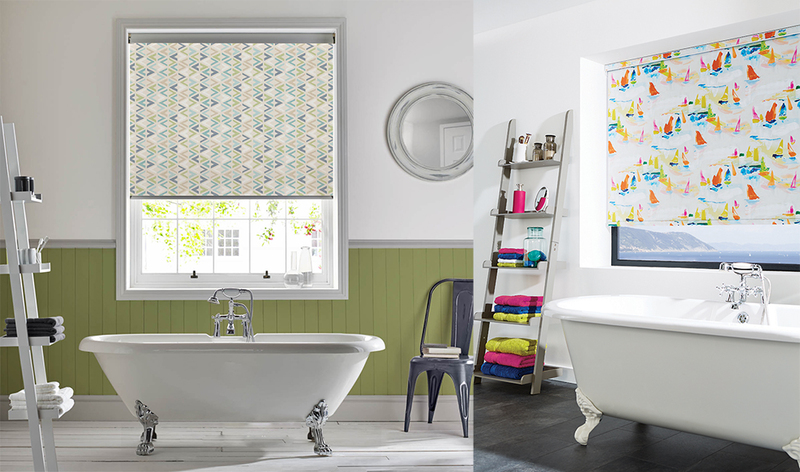 Can Roller Blinds Be Fitted in a Bathroom? Roller Blinds are one of the classic and popular choices for bathrooms. They are easy to control providing you with a great level of privacy and light control. The best thing about them is that they are available in vinyl or PVC fabric, which is fantastic when it comes to dealing with humid environments thanks to its natural water-resistance. PVC fabric is also very easy to clean. This means that you don’t need to worry if soaps and shampoos splash your blinds. You can clean them easily with just a damp cloth. It is also a very durable fabric, which means that with minimum maintenance you’ll only want to change your blinds in the future to explore new designs! PVC Roller Blinds are available in a very wide range of colours, designs and patterns. From the simplest solid colours to modern patterns and finishing accessories. You’ll sure find the right match to your bathroom and personal taste. PVC Roller Blinds are also black out which provides a high level of privacy. After all, no one wants their neighbours or some random strangers to see a naked shadow (or sometimes even more details can be visible) having a shower late at night. 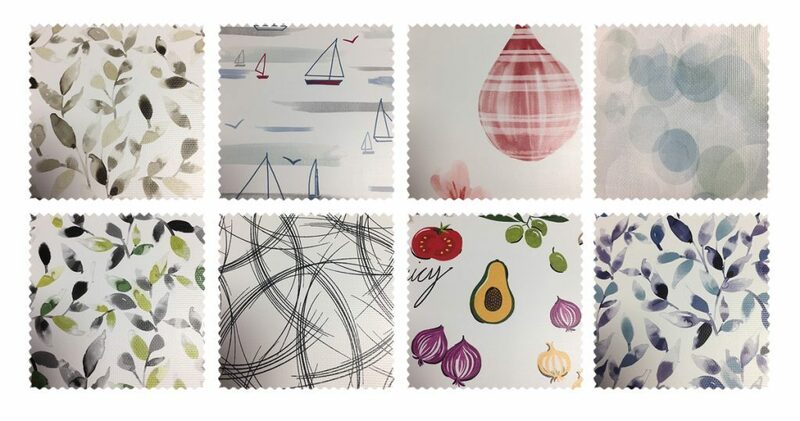 Below are our favourite PVC fabric samples for bathroom. If you want to take a look at our wide collection, please fill in our online form to request a free home visit. Roller Blinds are available in made-to-measure options to ensure that each blind will fit seamlessly in place, providing a simple yet stylish finish to your bathroom. Made-to-measure blinds allow you to personalise your blinds with your choice of fabrics, linings, accessories and finishes. In short, you will have blinds that reflect your own personality and compliment the other details in your bathroom. We can also supply cassette roller blinds, which have a slow rise chainless mechanism. These blinds are both perfect for those with a designer’s eye and child friendly. We offer a free home service allowing you to see fabric samples in your own home and we will provide you with a no obligation quote. You can also visit our showroom at our factory in Wombwell, Barnsley to see our full range of products. Previous Previous post: Which of 2019 Colours Matches Your Personality?